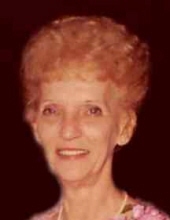 Dorothy “Boots” Koontz, 93 of Pana passed away	Saturday, March 30, 2019 at Pana Community Hospital. She was born October 26, 1925 to the late Glenn & Esther (Ketchem) Smith. She married Carl “PeeWee” Koontz on December 2, 1945 in Mattoon, IL and he preceded her on February 12, 1998. Boots was a member of Pana First United Methodist Church and had worked at Mallory’s, a Peoria plant where she helped make ammunition during war time, the local creamery, and in several health care facilities. She was said to have always been a worker and in her leisure time enjoyed playing cards and spent much of her time doing various activities at the Pana Senior Center for over 20 years, and just enjoyed being around people. Boots is survived by her son Richard (Cathy) Koontz of Pana; grandchildren: John (Sujata) Koontz, Josh (Leanna) Koontz, Alicia Koontz; 5 great-grandchildren; and siblings: Gary “Butch” (Chris) Smith, Mt. Zion, Lois (George) Weers, Iowa, Carol Sue (Don) Pollman, Florida; and daughter-in-law, Annette Koontz, Ashmore, IL. She was also preceded by a son Michael Koontz on May 13, 2002, 3 brothers and 1 sister. A memorial service will be held Friday, April 5, 2019 in McCracken-Dean Funeral Home at 11:00 a.m. with Pastor Amanda Richards officiating. Visitation will be from 10:00 a.m. until time of the service in the funeral home. Memorial’s in Boots honor may be made to the Pana Senior Center. "Email Address" would like to share the life celebration of Dorothy "Boots" Koontz. Click on the "link" to go to share a favorite memory or leave a condolence message for the family.